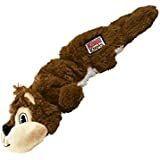 Kong Scrunch Knot Squirrel (Small) KONG Scrunch Knots are realistic pelt toys that keep dogs coming back for more. 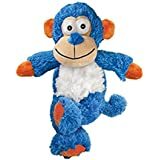 Plush material scrunches around the internal coiled rope, while stretchy sides create natural movements to entice play. 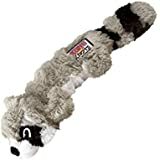 The internal knots satisfy natural instincts and these toys contain no stuffing for less mess. 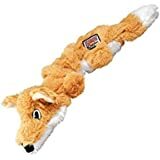 Squeaks for added enjoyment! Stuffing- free for less mess. Stretchy sides create a realistic movement. Internal knots satisfy natural instincts.